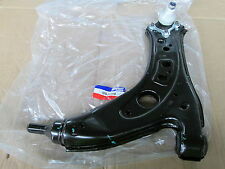 PART NUMBER UNIPART GSJ 3260. LOCATION UNIPART ARM 1. SEAT CORDOBA (6L2) 1.2. SEAT CORDOBA (6L2) 1.2 12V. SEAT CORDOBA (6L2) 1.4 16V. SEAT IBIZA Mk IV (6L1) 1.4 16V. SEAT IBIZA Mk IV (6L1) 1.6. SEAT IBIZA Mk IV (6L1) 1.6 16V. PART NUMBER UNIPART GSJ 1789. LOCATION UNIPART 1. SEAT EXEO (3R2) 1.6. SEAT EXEO (3R2) 1.8 T. SEAT EXEO (3R2) 1.8 TSI. SEAT EXEO (3R2) 2.0 TFSI. SEAT EXEO ST (3R5) 2.0 TDI. SEAT EXEO (3R2) 2.0 TDI. SEAT IBIZA 04/2002-03/2008. LEFT HAND FRONT SUSPENSION ARM WISHBONE. PART NUMBER UNIPART GSJ 1788. LOCATION UNIPART 1. SEAT EXEO (3R2) 1.6. SEAT EXEO (3R2) 1.8 T. SEAT EXEO (3R2) 1.8 TSI. SEAT EXEO (3R2) 2.0 TFSI. SEAT EXEO ST (3R5) 2.0 TDI. SEAT EXEO (3R2) 2.0 TDI. REAR OFFSIDE. FORD FIESTA MK4. SEAT - IBIZA Mk IV (6L1) - 1.2. SEAT - IBIZA Mk IV (6L1) - 1.4 16V. SEAT - IBIZA Mk IV (6L1) - 1.4 TDI. SEAT - IBIZA Mk IV (6L1) - 1.9 TDI. SEAT - IBIZA Mk IV (6L1) - 1.9 TDI Cupra R. SKODA - FABIA (6Y2) - 1.0. 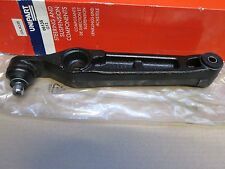 PART NUMBER UNIPART GSJ 3261. LOCATION UNIPART ARM 1. SEAT CORDOBA (6L2) 1.2. SEAT CORDOBA (6L2) 1.2 12V. SEAT CORDOBA (6L2) 1.4 16V. SEAT IBIZA Mk IV (6L1) 1.4 16V. SEAT IBIZA Mk IV (6L1) 1.6. SEAT IBIZA Mk IV (6L1) 1.6 16V. PEUGEOT 406 (8B) 1.6 Saloon Petrol 11/1995 05/2004 FWD 8 88 65. PEUGEOT 406 (8B) 1.8 Saloon Petrol 05/1997 05/2004 FWD 8 90 66. PEUGEOT 406 (8B) 1.8 16V Saloon Petrol 11/1995 10/2000 FWD 16 110 81. PEUGEOT 406 (8B) 1.8 16V Saloon Petrol 10/2000 05/2004 FWD 16 116 85. PART NUMBER UNIPART GSV 2152. LOCATION UNIPART 4. AUDI A3 (8L1) 1.6. AUDI A3 (8L1) 1.8. AUDI A3 (8L1) 1.8 T. AUDI A3 (8L1) 1.9 TDI. AUDI TT (8N3) 1.8 T. Fitting Position: Rear Axle, Fitting Position: Left, Fitting Position: Right. PART NUMBER UNIPART GSJ 6335. LOCATION UNIPART 1. Fitting Position: Rear Axle, Fitting Position: Left, Fitting Position: Right, Fitting Position: Lower. FORD FOCUS (DAW, DBW) 1.4 16V. FORD FOCUS (DAW, DBW) 1.6 16V. GSJ3261 (NO REAR BUSH). 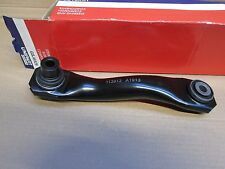 UNIPART RIGHT HAND LOWER SUSPENSION ARM. Skoda Fabia (2000->2008) 1.0i AQV,ARV,ATY Petrol, 8 Valves, 50 BHP. Skoda Fabia (2000->2008) 1.2i AWY,BMD Petrol, 6 Valves, 54 BHP. Skoda Fabia (2000->2008) 1.4i AUB,BBZ Petrol, 16 Valves, 100 BHP. A new rear trailing arm bush for the Audi TT and A3 models from 1998. The part is marketed by Unipart and their reference number is GSJ2152. Have a good look at the photo because it is exactly what you will receive If you are unsure if it fits your car please send your make models and registration number and we will check it for you. The package will be dispatched by 2nd class mail or by 1st class if you require a faster service. PART NUMBER UNIPART GSJ 4285. LOCATION UNIPART 1. SEAT EXEO (3R2) 1.6. SEAT EXEO (3R2) 1.8 T. SEAT EXEO (3R2) 1.8 TSI. SEAT EXEO (3R2) 2.0 TFSI. SEAT EXEO ST (3R5) 1.6. SEAT EXEO ST (3R5) 1.8 T.
The part is marketed by Unipart and their reference number is GSJ4285. It also fits Seat and VW models. See below if you are unsure. 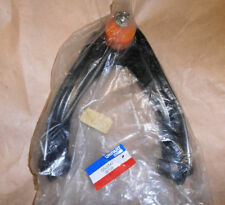 PART NUMBER UNIPART GSJ 4286. LOCATION UNIPART 1. SEAT EXEO (3R2) 1.6. SEAT EXEO (3R2) 1.8 T. SEAT EXEO (3R2) 1.8 TSI. SEAT EXEO (3R2) 2.0 TDI. SEAT EXEO ST (3R5) 1.6. SEAT EXEO ST (3R5) 1.8 T.
PART NUMBER UNIPART GSV 2711. LOCATION UNIPART 4. Fitting Position: Front Axle, Fitting Position: Left, Fitting Position: Right, Fitting Position: Rear. Fitting Position: Front Axle, Fitting Position: Left, Fitting Position: Right. Part Number:GSJ4747. Fits : BMW X5. We will beat any price! Product Type: Steering and Suspension Components. PART NUMBER UNIPART GSV 3193. FORD KUGA I 2.5 4x4. FORD KUGA I 2.0 TDCi. FORD KUGA I 2.0 TDCi 4x4. FORD KUGA II (DM2) 1.6 EcoBoost. FORD KUGA II (DM2) 1.6 EcoBoost 4x4. FORD KUGA II (DM2) 2.0 TDCi. FORD KUGA II (DM2) 2.0 TDCi 4x4. Part Number:GSJ4298. Ford Mondeo 1993 BNP [1993-1996] Estate Estate 1.6i 16V 1597ccm 90HP 66KW (Petrol). Ford Mondeo 1993 BNP [1993-1996] Estate Estate 1.8 TD 1753ccm 88HP 65KW (Diesel). Ford Mondeo 1993 BNP [1993-1996] Estate Estate 1.8i 16V 1796ccm 115HP 85KW (Petrol). Part Number:GSJ5342. Volvo S40 MK II [2004-2012] Saloon Saloon 2.4 D5 2400ccm 179HP 132KW (Diesel). Volvo S40 MK II [2004-2012] Saloon Saloon T5 2521ccm 230HP 169KW (Petrol). Volvo S40 MK II [2004-2012] Saloon Saloon 2.0 D 1998ccm 136HP 100KW (Diesel). 07.04 - 09.12. 06.08 - 07.11. 10.03 - 03.07. 01.05 - 03.07. 02.05 - 03.07. 03.04 - 03.07. 01.06 - 03.07. 04.04 - 03.07. Part Number:GSJ5282. Product Type: WISHBONE Front Left. Audi A3 8P1 [2003-2012] Hatchback Hatchback 1.6 1595ccm 102HP 75KW (Petrol). Audi A3 8P1 [2003-2012] Hatchback Hatchback 1.6 FSI 1598ccm 115HP 85KW (Petrol). C70 II CONVERTIBLE. S40 II SALOON. Engine Code: 1,8 L. Engine Code: 2,0 PFI. Engine Code: 2,0 TDCI. Engine Code: 1,6. Engine Code: 1,8. Engine Code: 1,8 EFI. · Volvo V40 1995 - 2004. · Volvo S40 1995 – 2003. If you are collecting your item, collection required within 48 hours. We will not take responsibility for incorrectly ordered parts. Near Side (NS) – Left Hand (LH) – Passenger Side or.